The brief from the client was simple. They asked for a house in which the natural light flows through around. 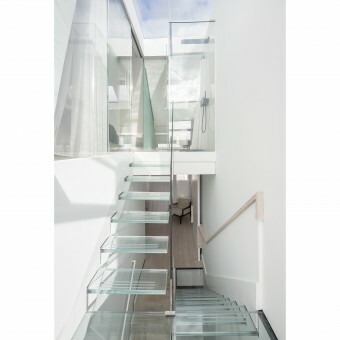 A glass staircase links all floors, allowing light to flow effortlessly through the property, with views up through the home to create a sense of space and continuity. The project involved a complete renovation of a Victorian terraced house in West London into a bright home, and included a kitchen extension, loft and basement conversion. The design built within the facade of a Victorian home, and sought to modernize it whilst remaining respectful to the existing exterior. The stairs connect the different levels of the house and bring the natural light all around, which makes out a feeling of harmony and important element of the design.The douglas fir and oak herringbone gives out a warm atmosphere. 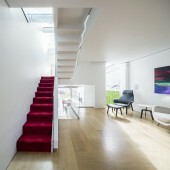 The design opens up the spaces to connect them generating social spaces linked through the stair in three floors (reception, kitchen and entertainment room). 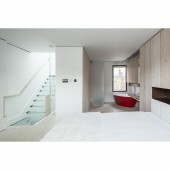 Clear and frosted glass, matte white aluminium, white decoration and douglas fir and oak herringbone for flooring and furniture too. The architect did an approach on how the refurbish a victorian terrace house in London into a bright home where you can socialize easily on the open plan areas, with a fresh and bright strategy. This approach is totally opposed to the nature of the terrace houses in London, which makes a bit challenging how to solve the new structure to make possible the linked spaces and openings for bringing the natural light. 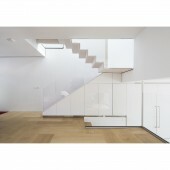 Both cantilevers of the glass stairs and dining table were technically challenging as well as the whole new structure of the house around the skylights. 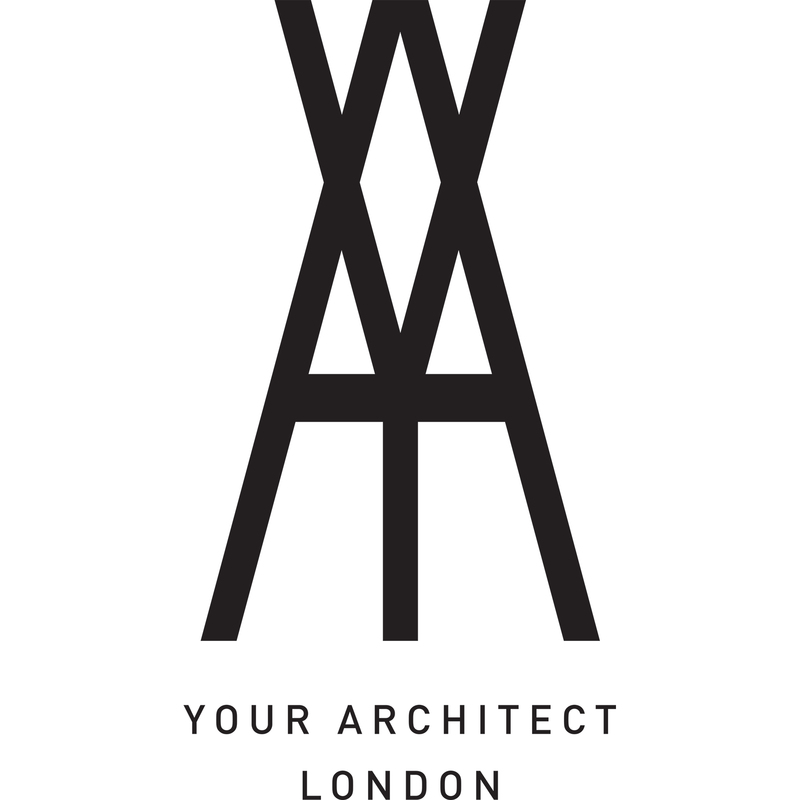 Your Architect London is an award-winning London architectural firm. At the heart of our philosophy is a belief in the design process: each project is the result of a close collaboration with clients to deliver a home that is bespoke to their needs and aspirations. Sustainability is also fundamental to our practice, and we work hard to deliver bespoke energy solutions for each project. We believe that architecture can make a meaningful difference to lives, which is why getting it right is so important to us. Our design-led approach enables us to develop innovative and context-specific solutions that transform day-to-day lives. We offer a range of residential architectural services, from planning permission, project management, through to completion, specializing in contemporary design and modern architecture. 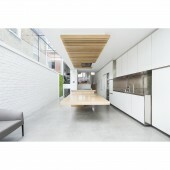 Gc House House by Inaki Leite is a Nominee in Architecture, Building and Structure Design Category. · Click here to register today inorder to be able to view the profile and other works by Inaki Leite when results are announced. Gc House House by Inaki Leite is Winner in Architecture, Building and Structure Design Category, 2016 - 2017. · Press Members: Login or Register to request an exclusive interview with Inaki Leite. · Click here to register inorder to view the profile and other works by Inaki Leite. Did you like Inaki Leite's Architecture Design? Did you like Gc House House? Help us create a global awareness for good architecture design worldwide. Show your support for Inaki Leite, the creator of great architecture design by gifting them a nomination ticket so that we could promote more of their great architecture designs.